Message. 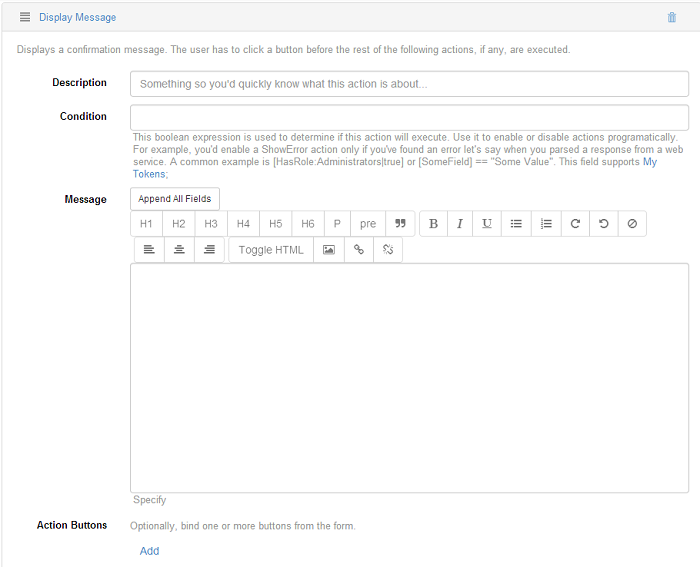 In this text box you can input your message that will be displayed after the form is submitted. Example: "Thank you for contacting us. Your message was successfully sent." This field also supports My Tokens. This option is also one of the simplest and fastest ways for debugging. Populate it with tokens and see if a form is working correctly. Action Buttons. Optionally, you can bind one or more buttons from the form. For example, you can add a button and set an action on it to redirect to another page or to download a file.